Booking that first ever cruise holiday is incredibly exciting, as you pick an itinerary through a beautiful route across the globe’s wonderful azure oceans. With an almost limitless choice of ships, regions and itineraries to choose from, it’s possible to handpick the cruise which perfectly suits your tastes and your family’s holiday wish list. But at the same time, this freedom can make it difficult to pick the very best package. And when you have picked and booked your cruise, what do you pack? What extras do you book? And how do you plan your days in port? If you’re currently looking to book your first cruise trip, or have just put the phone down after securing a great deal, and are unsure what to do next, fear not, we have amassed the finest panel of cruise experts to share their knowledge and their wisdom. From port research to packing tips, our experts help you make the absolute most of your first cruise holiday. I recommend doing a lot of research on your ports of call prior to embarking on your cruise. In many ports around the world it’s easier (and cheaper!) to explore by yourself, instead of taking shore excursions offered by the ships. Note down what you want to see and do in advance and find out how to get there independently if possible. 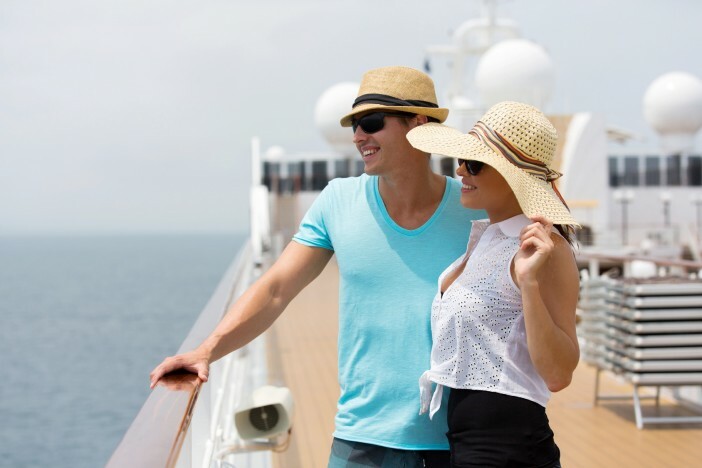 Find out what the dress code is for your chosen cruise line in advance. You don’t want to turn up with only casual outfits for a cruise line that has multiple formal nights! 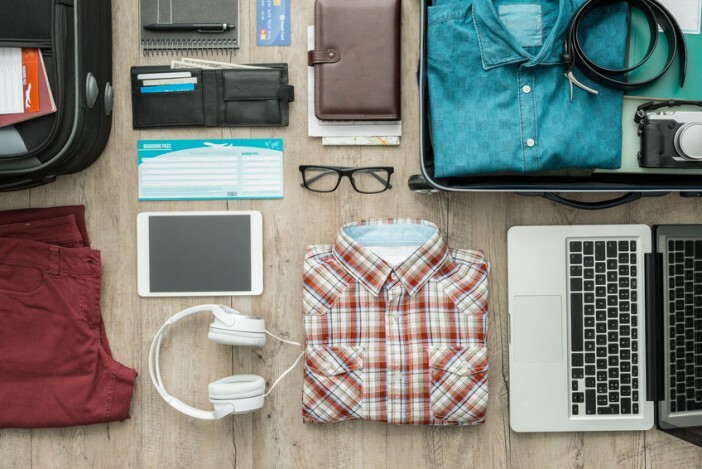 Do your research and pack the right clothes for your trip. It’s a good idea to do a bit of research: buy a couple of cruise magazines or look online at some cruise sites and blogs (like mine!). That way, you’ll be more likely to identify people with similar interests to you and be able to find the cruise lines that are likely to best suit you and your circumstances. When you’re choosing your cabin, you’ll probably have loads of choice. Most cruise lines offer everything from single cabins right up to luxury suites. Don’t discount the more luxury cabins as some – like Carnival Vista’s new family harbor staterooms – come with added extras like free babysitting and kids’ dining in the speciality restaurants, and can be great value. Consider going through a travel agent rather than booking direct – they often have great insider knowledge and get offered special deals sometimes not available to customers booking directly with the cruise lines. If you’re making your own way to the ship, I always recommend flying to the port the night before and staying overnight in a hotel. 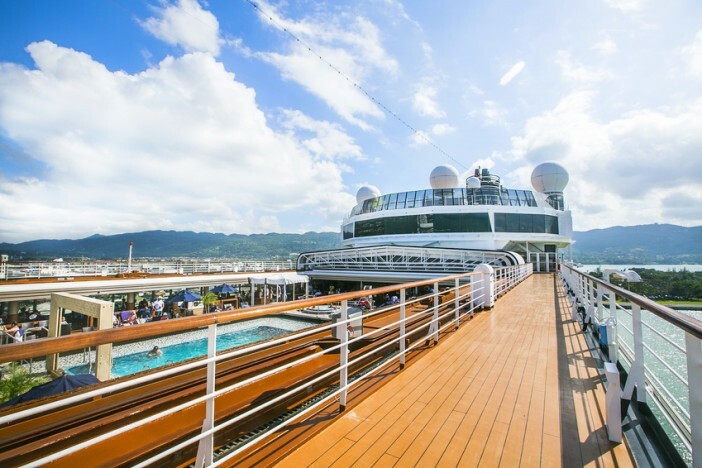 It’s a lovely, relaxing way to start your holiday and also, if you’re delayed in some way, you’re more likely to still be on time for your cruise. When I first get on board a new ship, I spend an hour exploring all the different decks and main public areas. Although it takes a while to get your bearings, it’s amazing how you’ll start to remember what’s near where, especially if you’ve had an explore early on. Finally, I really recommend staying on board on at least one of the port days. Ships are generally really quiet when everyone’s off enjoying their excursions, and there are often special deals in the spa and very short queues for on-board amenities like water slides. When getting on board the cruise for the first time, it can be a little confusing, but new cruisers should not worry. The cruise lines have it all under control with a deck-by-deck ship map available just about everywhere, including in the staterooms. Some cruise lines also position crew members in key public areas around the ship so that guests can ask for any advice and duration. The cruise line is responsible for all guests and crew safety so even before the voyage officially gets underway an important safety drill is done. Don’t try to hide in your cabin, however, as the stewards will check! Follow directions from the crew members and take it seriously without taking any food or drink. Once the drill is complete, then it is time to relax and enjoy all the amazing destinations featured on the itinerary. I will be brutally honest and openly admit I never used to be great at packing. But now having been on many cruises and nearly always having packed far too much, I’m starting to get the hang of packing for cruises. Forgetting something really important is always my biggest worry, but making a list can be a good way to tackle this concern. When packing my clothes, I now lay them out next to my luggage case. I used to pack nearly my whole wardrobe. Now I always ask myself, do I really need these extra pairs of trainers and shoes? Does this t-shirt need to come? Will I actually wear this jacket or coat? If the answer isn’t a definite YES, I try my best to leave it at home. Make sure, however, you pack appropriately. If you’re going somewhere where it is likely to be sunny, then make sure you pack your swimwear! Always pack a coat with a hood, just in case you encounter a rainy day or two. Most importantly, always remember to leave a little space in your luggage case for anything you might buy during your cruise. You will be surprised how much more you might return with! There are many different cruise lines offering a range of experiences, on various sized ships. Do your research and pick a ship which suits you. 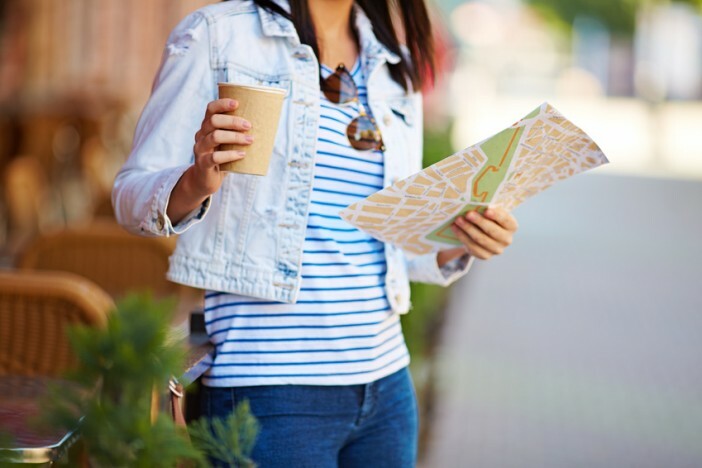 If you’re struggling, contacting a travel agent can be a great way to get useful information. 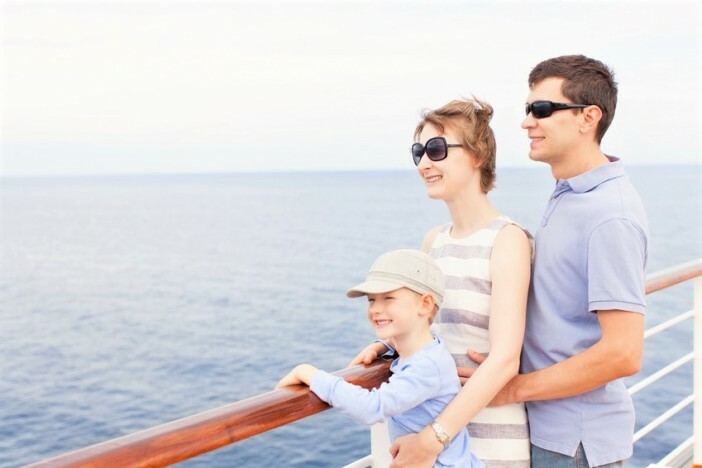 The length of the cruise can also be an important factor, especially when booking your first. Personally, I would recommend a cruise between 4-7 nights. This will give you enough time to get used to your ship and try out what it has to offer. If, for whatever reason, you do not enjoy your first cruise, don’t be put off! You can always try a different ship or different cruise line. If you booked a hotel and didn’t like it, would you never stay in a hotel again? No. So why should a cruise holiday be different? Making the most of the ship is obviously very important, even more so if you are a first-time cruiser and possibly booked on a mini cruise. Therefore, it is vital to get to know your ship, even before you step on board. I always find some time to study the deck plans of my ship a week or so before my cruise, so I get to know the layout and where the various venues are located, particularly the buffet, gym and pools! On embarkation day after finding my cabin and heading for the buffet for lunch, I always try to explore my ship as much as possible. If, after all this, you still find yourself getting lost, remember you can always ask a crew member for directions. As cruise ships get larger with ever more features, don’t be intimidated or preplan to do too much. Allow yourself the freedom to explore venues once on board to choose which ones most call to you on the fly. Of course, speciality restaurants do book up quickly, so be mindful of those sooner rather than later. But just enjoy and don’t lament if you don’t get to it all. What remains will be perfect to revisit on your second cruise. Don’t wear your bathing suit or bathrobe in the dining room. The same goes for baseball hats, shorts that are too short, and clothing that reveals more than anyone needs to see at meal time. Be polite to the crew. 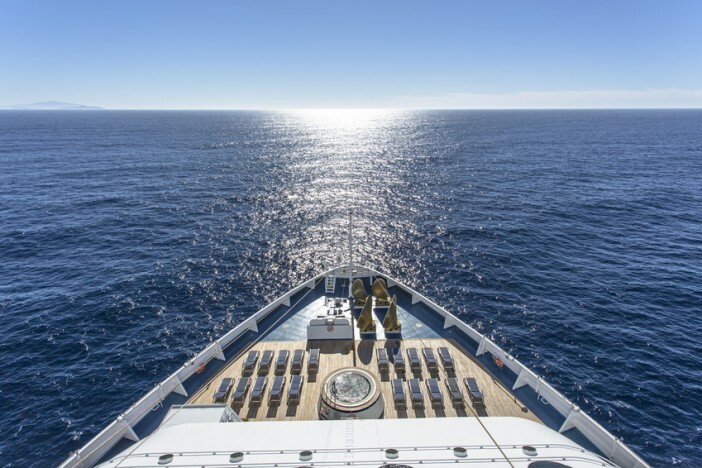 Considering that crew members can be at sea from anywhere from six to 12 months, they commit themselves to making your cruise the best that it can be. Take a few minutes to learn their names, ask them where they are from, and greet them when you see them. Being polite doesn’t cost anything, but it can make someone’s day. Tipping. Depending on what part of the world you are cruising and what cruise line you’re sailing with, gratuities are generally added to your bill at the end of the cruise. You can adjust up (or down) the total amount or choose to pay in cash. Some people hate tipping on a cruise because they feel that they’ve already paid enough and shouldn’t have to give more money. Remember that the tip is going directly to the crew members that provided the service, who work extremely hard for their tips. The best way to deal with tipping on cruises is to budget in advance of your cruise and prepay if at all possible. Return to the ship on time following shore excursions. When you’re on a cruise, the captain will let you know when everyone has to be back onboard the ship for departure. This is also printed in your daily paper that you’ll receive in your cabin and it will also appear on a display board as you leave the ship. If the time is 5 pm, then you should plan to be back no less than one hour before that. Why? Because life happens and you might end up in traffic, have a medical problem, lose your wallet, drink too much, or whatever. But regardless of life’s mishaps, it’s important to get back to the ship on time. If you don’t, you’ll need to make arrangements to get to the next port of call at your own expense. Don’t expect the ship to wait and don’t expect the captain to turn the ship around if you arrive shortly after the ship has pulled out of port. If you’ve got your own cruise tips to share with the Cruise1st UK readers, we’d love to hear them. Tweet us with the hashtag #MyFirstCruise, and we’ll share the best tips and pieces of advice. Booking that first-ever cruise holiday is always exciting, as you pick a beautiful route across azure oceans. At the same time, this freedom means there's an incredible amount of options and information out there. To make things clearer, we've enlisted a panel of cruise experts and asked them to share their insider tips for first-timers.